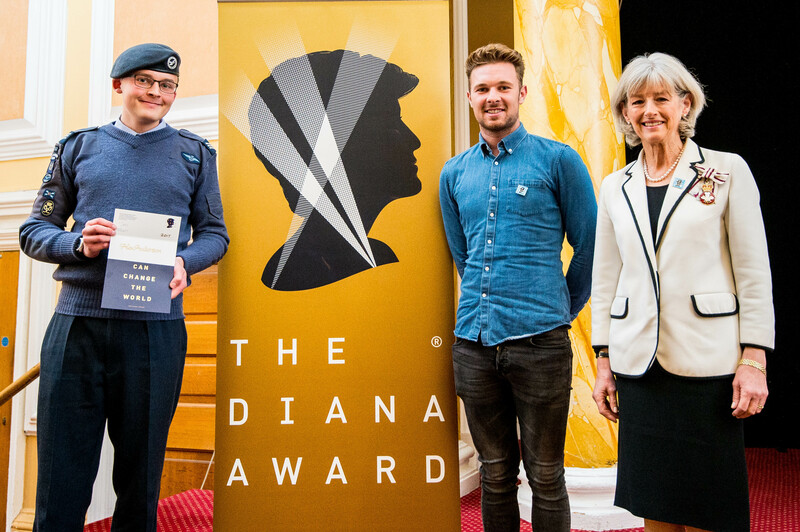 Alex Anderson received his Diana Award in Wales in 2017 for his service to others, here he explains the barriers he has had to overcome to achieve his goals. 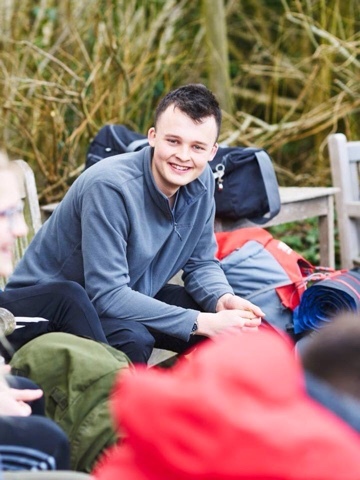 Alex has given up 1,000 hours of his spare time to volunteer, as well as working with the Air Cadets for two and a half years, where he is seen as a role model to younger cadets. He campaigns for disability awareness and is a passionate fundraiser, raising money for Ty Hafan, Saint David’s and the Alzheimer’s Society. Here he joins us to recount his story, sharing how he has overcome countless barriers to live a life of service and give back to others. 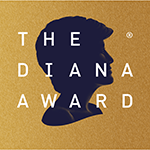 Alex Anderson, Diana Award Holder. My name is Alex Anderson and I have Asperger Syndrome. This has made me a unique and individual person. When I was young I was a very troubled kid as I couldn’t control my behaviour and would often try to run away from school as I never had the support which I needed from education when I was young. However, I had an amazing and supportive mum who was with me through the good times and then bad. Alex receiving his Diana Award at Cardiff City Hall in November 2017. My mum has always been my rock and is always there for me if I need anything. I was branded a naughty child by schools and went through four by the time I was eight years old. I was once even told by a police officer that I would end up in a youth offenders institute. If I was annoyed when I was younger I needed space to get away and cool off before I could calm down and sort out a situation. I never meant to do anything wrong but members of staff wouldn’t give me any space and would restrain me which made me even more angry. Aspies (people with Asperger Syndrome) need space and time to reflect on what has happened – I would always apologise for the mistakes I made after thinking about what happened. 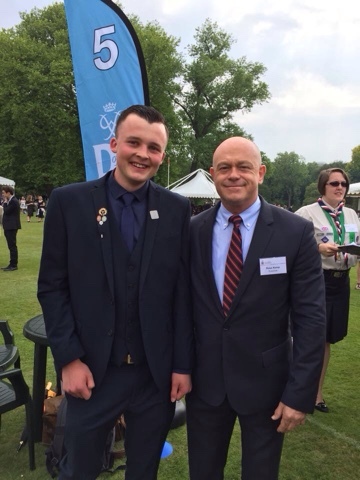 Alex is joined by Ross Kemp at a special event. The big change for me was when I went to The John Frost High School formerly Duffryn High School. The staff there understood me and that I needed time to think about my actions before I talked to them. They also helped me to develop coping mechanisms so I didn’t have what I called melt downs and gradually let off steam until I felt better. After gaining confidence and developing my social skills, I wanted to become an ambassador for people with special needs and difficulties as I have been through the rough times and came out the other end better for it. I have seen how the system fails people and want to campaign to change people’s minds so all people can get the support they need. When I left high school I was in the top eight biggest achievers in the whole school. I have also volunteered in my community quite heavily gaining many awards in volunteering through an organisation known as the Gwent Association for Voluntary Organisations. 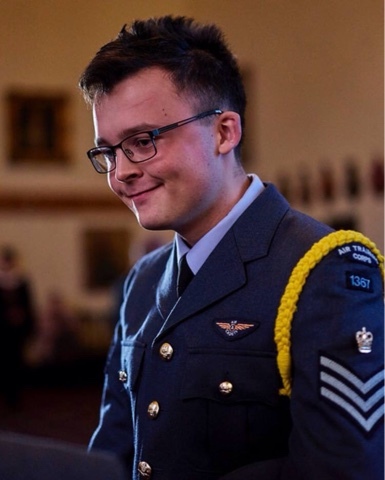 I have also been an active part of the Royal Air Force Air Cadets for the past four years where I have gained a huge amount of confidence and discipline. During my time in the Cadets I was awarded the best cadet in the UK title for 2018. I have also been involved with public speaking to develop autism awareness and have spoken at the Royal Military Academy Sandhurst to praise the outstanding role adult volunteers play in the lives of Cadets. Lastly, I also like to meet elderly people and give them a bit of company while listening to the amazing stories they have to tell. I am a big advocate that everyone needs to speak to someone and just getting something off your chest can really help people. I wouldn’t want to see a single person lonely as everyone needs someone. I have been lucky to have an amazing mother and family who have supported me through everything and has always allowed me to vent my worries when I am upset. I know I am lucky to have them and I wish to be a role model for others that no matter who you are or where you are from you can achieve anything with the right support if you put your mind to it! There are so many amazing people in the world making a difference and I feel very privileged to have met just a few! KNOW SOMEONE WHO INSPIRES YOU LIKE ALEX?